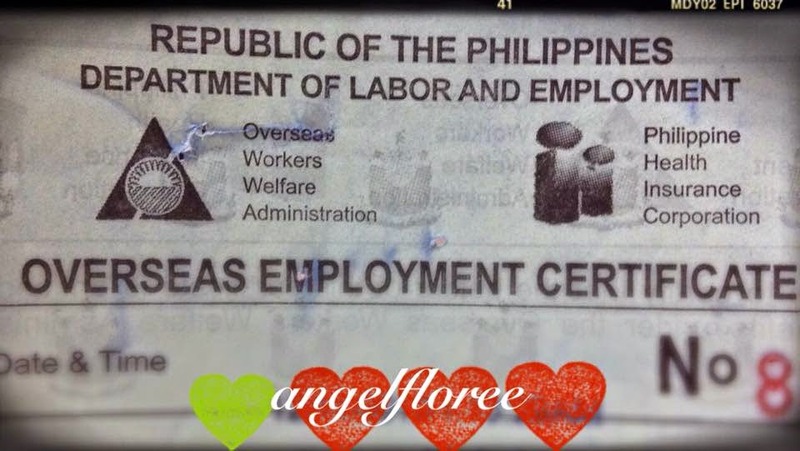 ANGELFLOREE: Why the world admires Overseas Filipino Workers? Why the world admires Overseas Filipino Workers? Filipinos are known great employees or workers that is why we are scattered all over the world working in different jobs making us heroes of our nation by increasing the economic growth of our country through remittances. In the past three years, the Commission on Filipinos Overseas (CFO) reported that there were estimated of more than 10 million Filipinos working overseas. There is a sum of more than US$20 billion amount of remittances from Overseas Filipino Workers in 2011. In the midst of poverty and calamities, OFWs sacrificed leaving their motherland just to provide more income and sustain their families in the Philippines. As they say, in almost every country, there were Filipinos working and we might feel a little homesick but for sure there were kababayans scattered everywhere. So what are the qualities we Filipinos do possess that make us a huge part of a work force abroad? From the in demand health care professionals, engineers, seafarers, teachers to domestic helpers, we are considered modern day heroes and a great pride for our country. Here are some of the qualities we Pinoys have. 1. COMPASSION: In everything we do, we Pinoys consider the situation of others. Our professional healthcare providers like doctors, nurses and caregivers work compassionately and take care of our patients in a very compassionate way with love and genuine care like they were our family members. We treat our co-workers with consideration and a ready hand to help in times of need and hardships. 2. GLOBAL COMPETITIVENESS: There is no doubt that we Filipinos are globally competitive. We work excellently in different fields, reason why no wonder we are in demand. Pinoys have talents, skills and intelligence making us gives quality services to our employers. 3. HARDWORK AND DEDICATION: We Pinoys work hard and value our commitment in every job we do. Filipinos go to work with passion no matter how stressful the situations are and finish their assigned tasks as needed resulting in productivity. 4. HUMILITY: As workers, we Pinoys could reach out and have good relations with all kinds of people no matter the age, race and status. We also could handle criticisms in a good way and be assertive to others with respect with and down-to-earth personalities. I have an OFW parent and siblings and I definitely agree with all 5 qualities listed in your article. Thanks for this! God bless. Of the five things you wrote, I think humility is very important. I hear of OFWs who have lost this. Those who remain humble continue to help the new OFWs on the field. in order of an OFW to achieve his/her goal in life he/she should acquire all of the qualities mentioned above..
Bilang isang OFW rin, masasabi kong sumasang-ayon ako sa iyong mga inilatag na katangian, lalung-lalo na ang ikatlo. Maihahambing ko ang mga kapwa Pinoy kong katarbaho sa ibang lipi at masasabi kong tunay tayong mga masisipag. Mas pumapayag tayong magdagdag ng oras, magsakripisyo ng personal na oras, atbp para sa ikagaganda ng tarbaho (kahit na wala namang kapalit itong promosyon o pagtataas ng sahod). I agree on the 5 qualities that makes the world admire Filipinos, especially hard work and dedication. Unfortunately, because of these qualities, some are abused in different ways and that's not a good thing. I hope that foreign employers treat OFWs fairly. I agree on 3, Pinoy know worldwide because they have family to support back home. Pinoys are know as supportive to family.